The Christmas season is nearly upon us which means it’s time to start thinking about how to transform your interior into a winter wonderland. Each year Amara unveiled four key festive trends certain to take the interior world by storm. Urban Glow is one of this fabulous trends and this particular look plays on the A by Amara AW18 Architect trend launched in September and gives it a chic Christmas spin. 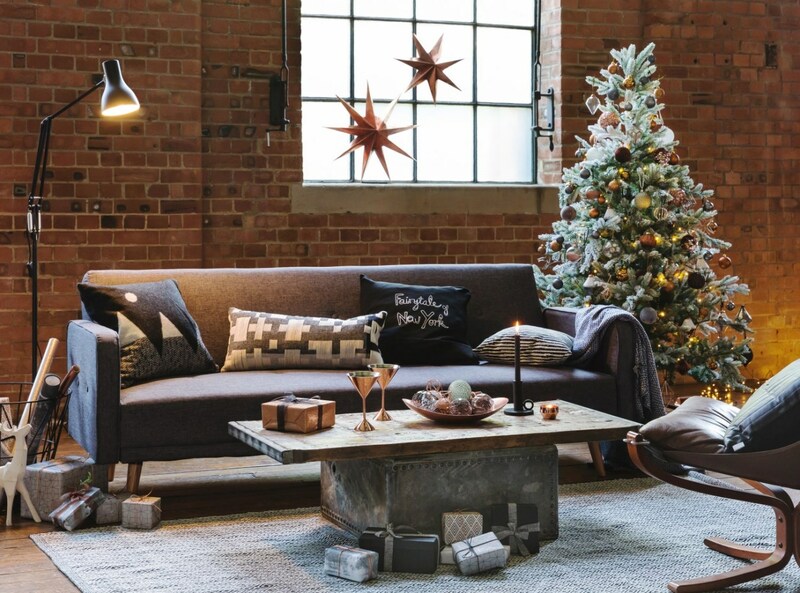 If you are a big fan of the industrial inspired Architect trend, Urban Glow makes sure you can take it all the way through the season to the holidays. 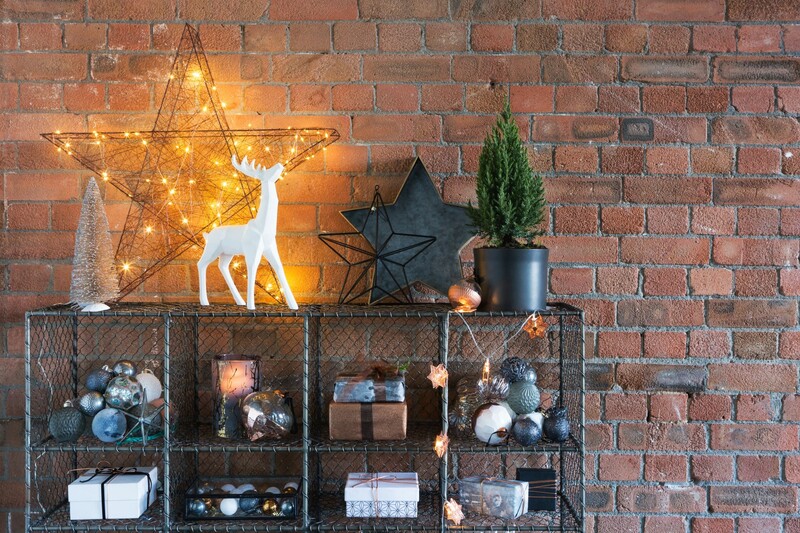 We take a closer look at the industrial Christmas decorations in Urban Glow and how to style them in the home. Like the industrial trend, Urban Glow is all about metallics. Instead of picking one shade and using it throughout the home, for this festive trend, get mixing. Think cool nickel, fiery copper and opulent brass and gold all in one gleaming setting. Giving glamour and warmth to striking lines and stark colours, metallics are frequently used to bring another dimension to the classic industrial style but for Christmas now’s your chance to go all out. The easiest way to mix your metallics if you aren’t ready to introduce them more permanently into your interior is on the Christmas tree. Industrial Christmas decorations will add effortless chic to your tree, from striking geometric shapes to minimalist baubles, go for a selection of metal shades and get layering. No Christmas scheme is finished without the glow of festive lights and this is especially true for Urban Glow – the hint’s in the name. Along with the metallics mentioned above, lighting goes one step further for adding warmth to the industrial Christmas look and it also makes the metal decorations glint and shine. Opt for classic warm white lights and get creative. 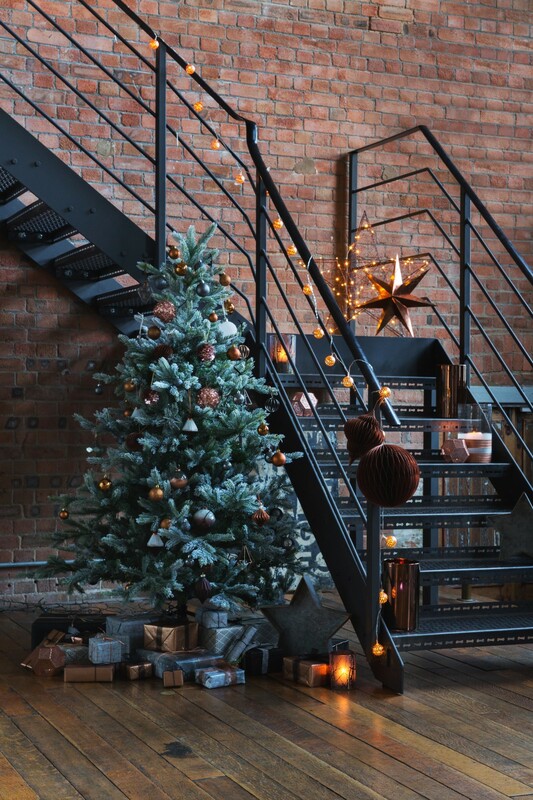 Not just for the tree, choose standalone light-up ornaments or drape fairy lights in unusual places like up the stairs to create a cosy glow in big lofts and other open plan rooms. Christmas is all about feasting so always make sure you carry your festive look all the way to the dining table for a coordinated interior. Simple tableware with subtle metallic elements will go a long way with the Urban Glow look. Layer these with a few key decorations and an elegant foliage centrepiece and you’ll have a laidback but ultra-chic table top ready for guests. The dining table is a fabulous place to suspend decorations from the ceiling which will add a sense of drama and if they aren’t too heavy is very easy to do. 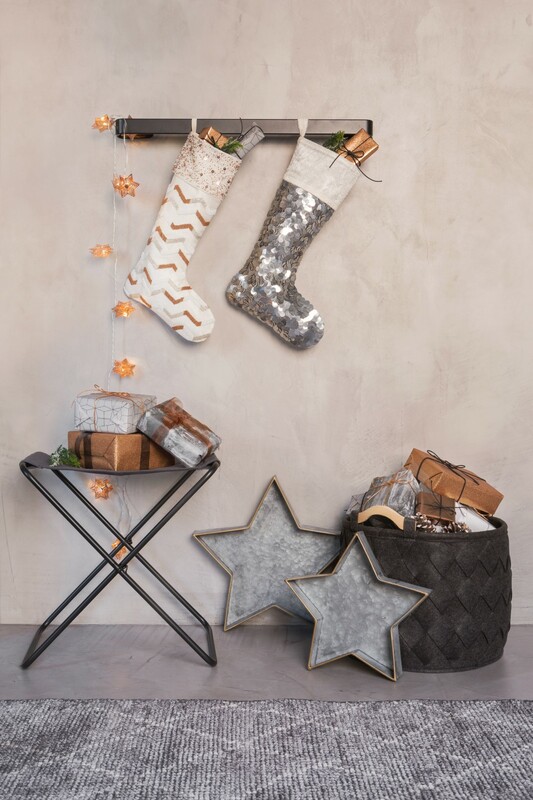 We love the copper paper stars which beautifully match the rest of the decorations in the Urban Glow range but on an eye-catching, larger scale. At its heart, the industrial look is laidback and minimalist. 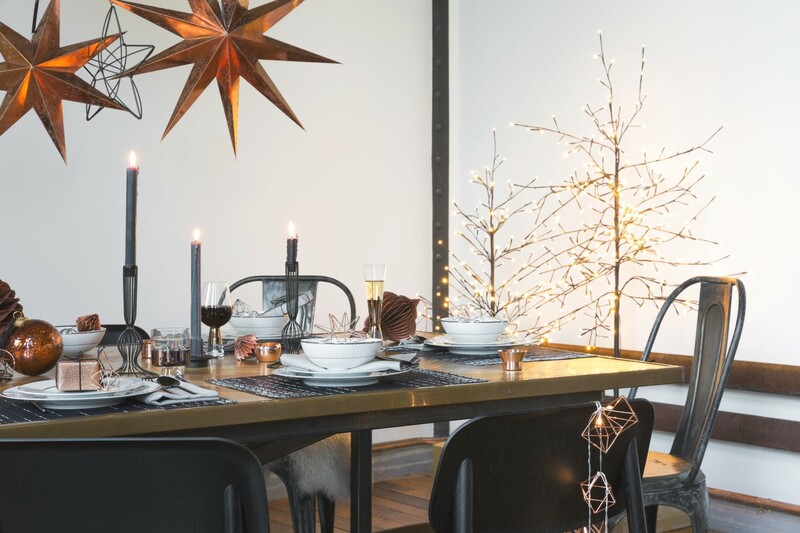 Whilst metallics and lighting add opulence and a hint of glamour, the key elements of the trend need to remain intact to really pull off the industrial Christmas trend. Don’t overload surfaces and don’t go for any decorations that are overly ornate as this can break the clean lines the look is known for. Select a few larger decorations to draw the eye, then complement these with smaller scale decorations on the tree and in a few styled corners around the home. Then let the rest of your interior do the talking to bring it all together. It’s the perfect choice for those that prefer a pared back Christmas look, that isn’t going to overwhelm their already impeccable decor.